On Thursday, the House Financial Services Committee  will hold its semi-annual review of the Consumer Financial Protection Bureau  (CFPB). The hearing titled "Putting Consumers First? 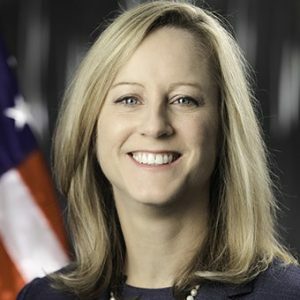 A Semi-Annual Review of the Consumer Financial Protection Bureau" will see Kathy Kraninger, Director, CFPB, making her first appearance before the committee after being confirmed to her current position. The hearing on Thursday will see Kraninger answering questions on issues raised by the House Financial Services Committee which include the recent settlements that "do not require companies that have violated the law to provide redress to consumers who have been harmed," and about the changes in the payday lending rules that were recently announced by the CFPB. Recently, Rep. Maxine Waters, Chairwoman of the House Financial Services Committee wrote an open letter to CFPB employees in which she said that she would use the full range of the committee's oversight authorities to "prevent any efforts to weaken the Consumer Bureau." She had said that the CFPB was a key part of financial reform and was created as a key part of the Dodd-Frank Wall Street Reform and Consumer Protection Act. "I have been concerned that actions taken, and changes made by Office of Management and Budget Director Mick Mulvaney were contrary to both the spirit and plain letter of the law and appear to be designed to frustrate the Consumer Bureau’s mission," she said in the letter.